Ever wonder what your favorite composer would have sounded like back in the day? What the keyboard that first played the opening notes of Beethoven's Fifth Symphony sounded like (though it probably wasn't very good, given he never tuned the thing)? What the violin that first played Mozart's "Eine Kleine Nachtmusik" sounded like, or the Harpsichord that Ligeti wrote Hungarian Rock with in mind (Check it out). With the composer Wolfgang Amadeus Mozart, we do have access to his violin and a viola, thanks in large part to the Salzburg's Mozarteum Foundation. 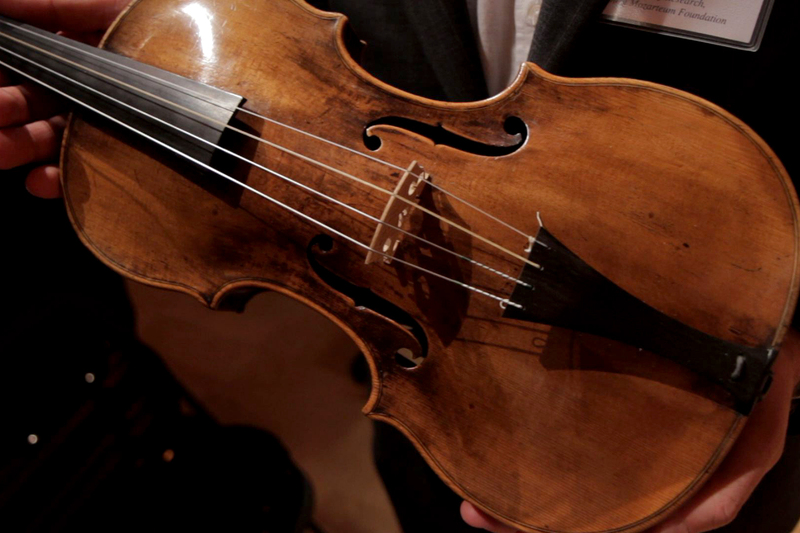 The violin is not a super powered Stradivarius, but a mellow and intimate sounding Klotz family instrument made circa 1650. The viola, a dark sounding and very small (hardly larger than a violin) instrument, was likely made by Giovanni Paulo Maggini in 1615. 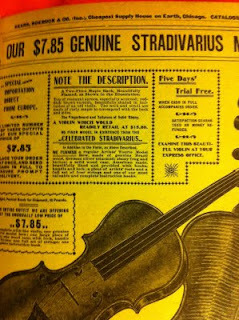 Huguette Clark, a few hundred million dollars, a Cezanne painting and several Stradivaris. Eccentric? Huguette Clark passed away in 2011 at the age of 104. She spent the last twenty years of her life living in a hospital room at Beth Israel Hospital in New York City. Not that she needed the hospital room. Or the hospital. Or much attention from doctors and nurses. But she had the money to pay for the twenty year visit and that's where she felt most comfortable. Eccentric? Maybe. Wasteful? Maybe. (She could have spent those years quite comfortably in her 42 room Fifth Ave. apartment, or her estates in California or Connecticut). But it was her money, so who cares? Her distant family. They received a big, fat portion of Bubkis in her will. Why would I care about this heiress or the legal fight over her estate? Violins, of course. 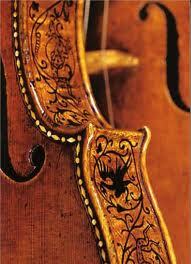 Stradivaris. Several of them. And it's a great story. 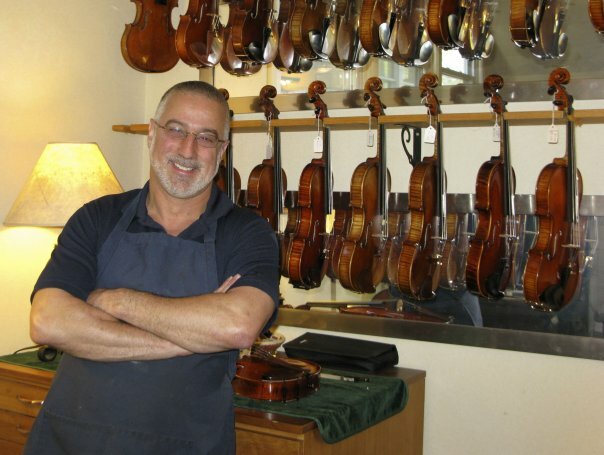 We get tons of questions every day, from friends and customers, about violins. Some are humorous to those of us who are around these instruments every day and know the terminology, but all are asked in complete and earnest sincerity. This will be a running blog that will get refreshed every so often. Enjoy! 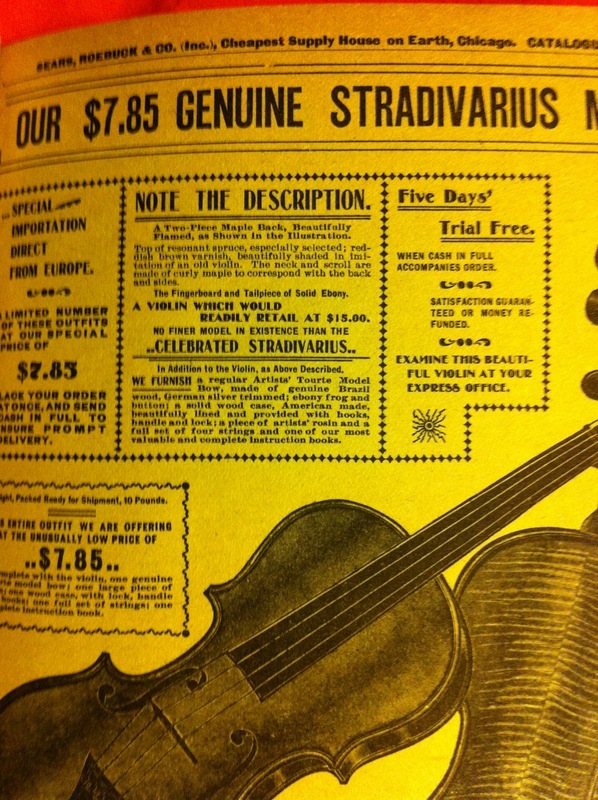 "I have a Stradivarius that I found in my attic! It must be one of those lost treasures you hear about all the time! Is it worth millions?" We've all been there: you've practiced your quartet part well. You know the notes and can play them. You head into rehearsal confident that the opening chords will slot beautifully into place, but are greeted instead by beat frequencies, colleagues frowning at each other, and self-depricating, frustrated remarks like, "well, I guess this'll never be in tune". So you go home and sit in front of a tuner...and it gives you a nice little beep and green light, as if to say, "congrats! You're perfect!" Alas, you know you aren't. Rather than putting your temper to the test, let's put temperament to the test. Here in America, we tend to think that we have the monopoly on the idea of 'the great melting pot.' When the rest of the world began their exodus to 'the new world,' New York became an amalgamation of peoples and cultures from everywhere else. We can not, however, lay claim to this phenomenon. In fact, the Piedmont region of Italy was a melting pot of nationalities and cultures long before this happened on our own soil. Just wanted to say thanks for all the help with my students! Thought you might like to know one of my violinists just got one of your bows to solo with her high school orchestra, another is concertmaster of her school on one of your violins and another got into AllState ork playing on one of your bows. :D We appreciate you! I'm just so happy to have a violin that's COMFORTABLE for me now as well as sounding good. 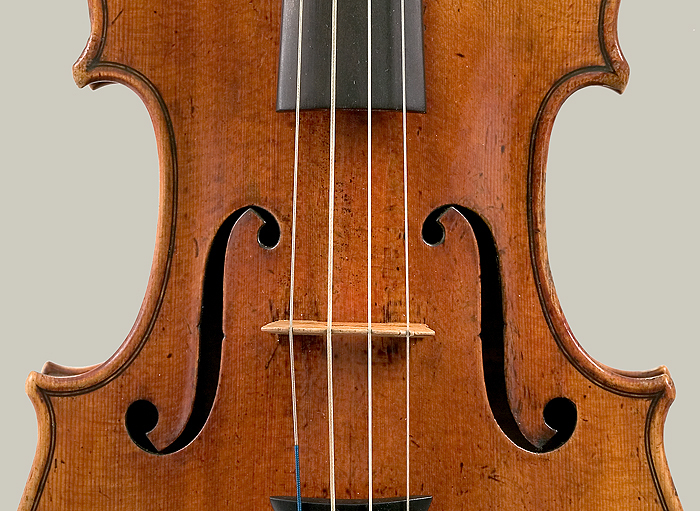 It's pretty hard to miss the very distinctive feature of the violin family's sound holes. The f hole. They are almost like a violin maker's fingerprints. Very distinctive and a true sign of a maker's skill. But why f holes? There are many other sound hole patterns that would probably work as well. I bet you thought you'd click on this blog post, find out that brand name YamaSuzEastKnilAmatPfretz was the best, and away you would go in ten seconds with all the information you would need for your star student to excel in strings. Sorry, not quite so fast. 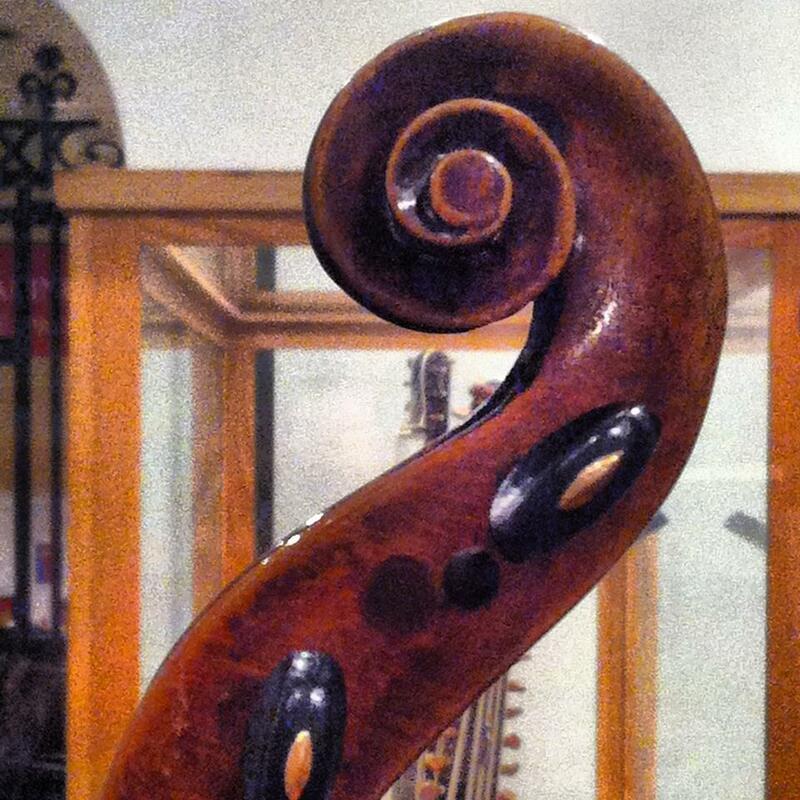 Where is the world's largest collection of violin family instruments? Not the U.S., not Europe, not China, not Japan. Tainan, Taiwan hosts The Chi Mei Museum, showcasing the instrument collection of stringed instrument lover extraordinaire Shi Wen-Long. For a lot of people, summer is a time for lazing by the pool, taking it easy, and being away from all of the more 'intellectual' activities of school, study, or work. Even if you still work, there is something different about summer that makes you take things a little more easy and be a little more laid back. For a lot of musicians, however, the summer can be a bit treacherous. When it comes to playing an instrument, taking 3 months off can be a real hinderance to progress, if not set you back a bit entirely. For that reason, many younger musicians tend to take advantage of the opportunity to focus entirely on their instrument, without having to split time between practicing and studying and the other things that can compete for time and attention. If you are new to the idea of summer music camps or festivals, I am going to outline some of the different options for you. Some of these I have been to, some of these I have had other colleagues attend, and others I have only a passing knowledge of. It's certainly not an exhaustive list, but hopefully it will open you up for discovery of different options for the summer months. Whatever your interests, however, there should be something here to catch your eye! Orch. Dork Vacations, Part II - Europe: Strads, Guarneris, Amatis, Oh My! 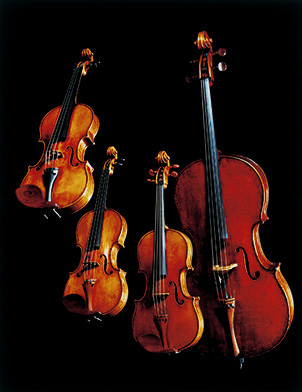 If you think of anywhere in Europe associated with violins, you probably think of Cremona, Italy. You might assume that would be my recommendation for the first place to stop on our Orch Dork tour. But it's not.